HomeWill Walker Embrace Institutional Changes in the Wake of “Scaffold” Controversy? Will Walker Embrace Institutional Changes in the Wake of “Scaffold” Controversy? 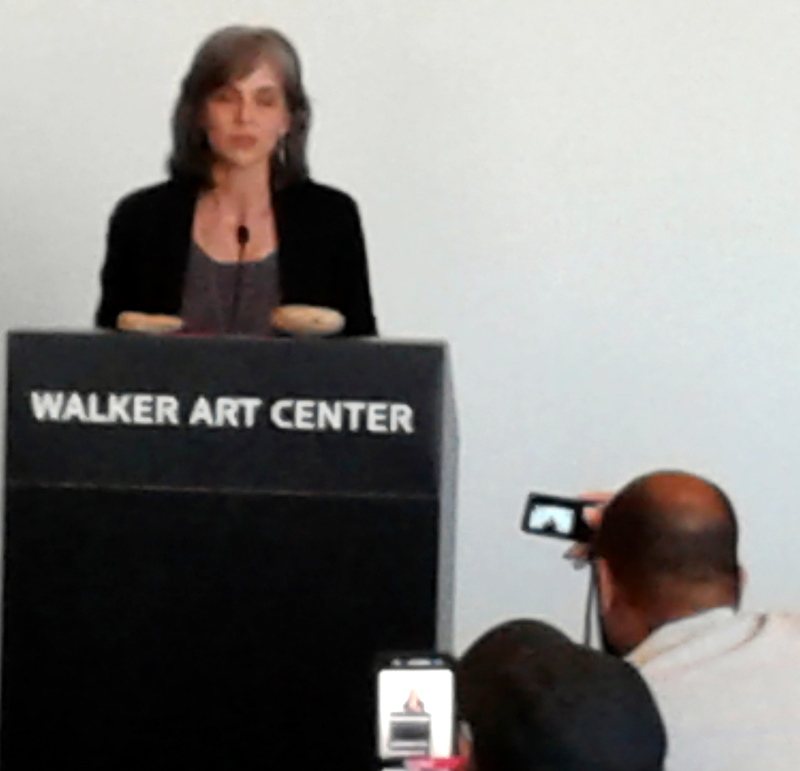 Olga Viso, Executive Director of the Walker Art Center at the Wednesday news conference. The Walker Art Center will look for ways to bring more diversity and perspective to its board and staff following the recent controversy over the Scaffold Sculpture, said Olga Viso, Walker’s executive director. We will help bridge gaps of understanding among staff, among our board, among our audiences. We will examine our institutional structures and work to make structural change, which will take time. Scaffold will be removed from the Walker Sculpture Garden, beginning Friday. Scaffold was to be part of the upcoming Grand Reopening of the Sculpture Garden, but it was quickly engulfed in controversy. The artwork depicts several historic gallows, most prominently the gallows used to hang 38 Dakota men in Mankato in 1862. Neither the artist nor the Walker thought to ask Dakota people for their reaction. When the sculpture started going up, that reaction came fast and strong. The Walker and the artist Sam Durant have both issued public apologies for not being aware of how this would affect the Dakota community. The sculpture has raised tough questions about competing values — about artistic freedom, about how a leading civic institution such as the Walker didn’t have anyone in the loop to see this problem coming, and about the rights of an oppressed people to tell their own story, not have one imposed on them. My friend David Cournoyer and I had a Op/Ed published in the Star Tribune headlined: After dismantling a sculpture in wake of protests, Walker must lead effort to dismantle inequity, which says where we come down on this debate. Minnesota has so successfully wiped clean its awful treatment of Dakota people that no one — no Walker curator, board member or patron — raised the issue of what actual Dakota might think. And that is the real problem. This is not about artistic expression. This is about institutional arrogance and systemic inequity. Part of the deep learning for us through the process is, it’s not just about bringing forward histories and knowledge and asking questions, which is what contemporary art does, but it is also being cognizant of this public space, this really public space and opportunity, and that we need to think differently about the process and how we engage communities around the artworks. In 2017, it should not be “deep learning” that it is important to engage multiple communities. Walker is not unique, this is a statewide problem. To Walker and Viso’s credit, they are interested in starting a dialogue with Native artists to create a work of art for the site where “Scaffold” was to sit, or perhaps somewhere else on the Walker campus. “We need some consultation and understanding about what the appropriate next steps are for that space,” Viso said. It is very encouraging that Walker is committed to doing more than just remove a sculpture, it is willing to engage in deeper equity work and institutional change. The question is whether it has the long-term commitment. Let’s look at two recent local examples that provide a cautionary tale. Start with the Minnesota State Capitol renovation. There was lofty talk about the renovation being a once-in-a-lifetime opportunity to address art in the Capitol. An Art Subcommittee was created. It engaged in lengthy debates. In the end, not much changed. Governor Dayton failed to get the Civil War paintings removed from the Governor’s Conference Room. The history buffs won, clinging to 19th Century images rather than looking to our future. 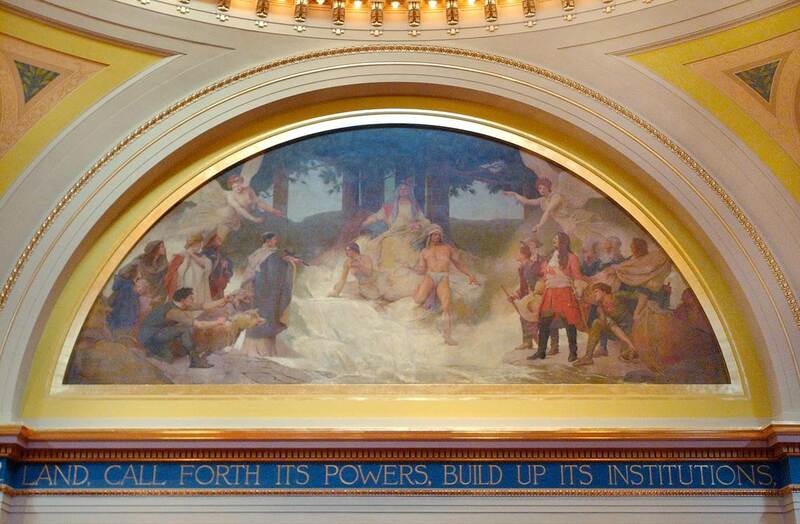 Of greater significance, few changes were made to historic Capitol paintings with negative portrayals of Native Americans and slanted versions of early Minnesota history. One of the most offensive paintings — The Discoverers and Civilizers Led to the Source of the Mississippi in the Senate chambers — shows a forced conversion of Native Americans. It received no significant debate. Unfortunately, the city didn’t commit money to the effort and it didn’t happen as promised. For many reasons, institutions resist change, sometimes its money, sometimes its culture, often its both. Walker is going to have to put its money where its mouth is and walk its talk. 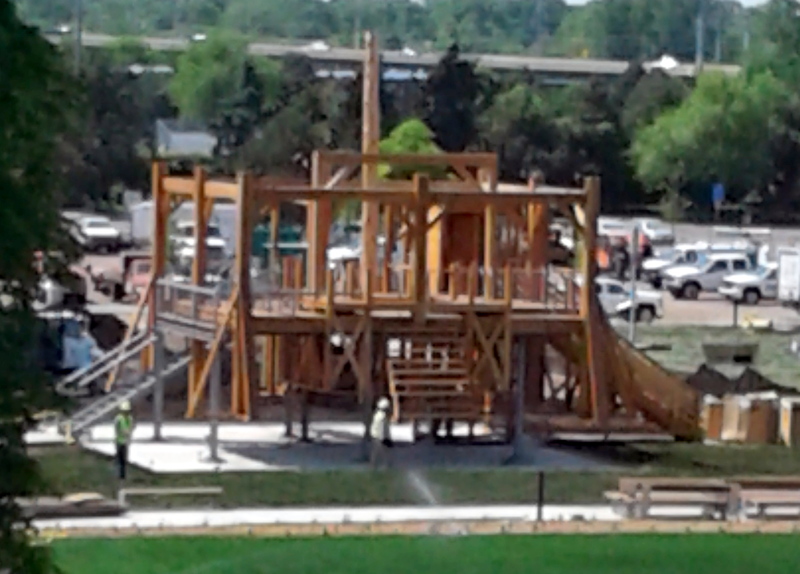 ← Please Attend Ceremonial Deconstruction of “Scaffold” at the Walker Sculpture Garden, Friday at 2 p.m.